Industry elder statesman John Bogle condemns the financial industrys grip on corporate America while taking other unpopular stands in a wide-ranging keynote discussion. Former Vanguard CEO John Bogle. Photo credit: Associated Press. 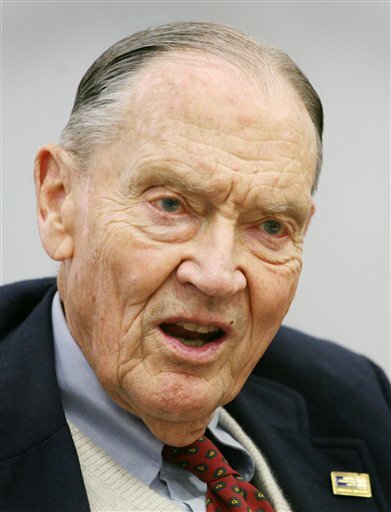 Industry elder statesman John Bogle did not refrain from speaking his version of truth to power at a national gathering of investors, condemning the financial industry’s grip on corporate America while taking other unpopular stands in a wide-ranging keynote discussion.